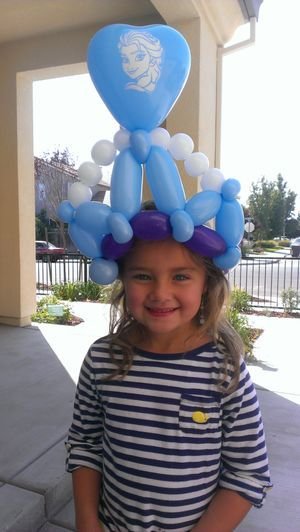 Balloons are great for all ages! We are constantly pushing ourselves to learn the newest techniques to make our balloon designs stand-out. We can complete 12-15 balloon sculptures per hour depending on complexity of the design requested. We use only Qualatex and Betallatex balloons, the choice for professionals balloon twisters. If you have a limited amount of time, balloons can be pre-made and brought to an event and added to our Face Painting and/or Glitter Tattoos Services for an additional fee. Click here for pricing information and to book. Stop by Facebook and "like" us for updates, news, and promotions!